Buffy is our only offspring out of TnC Double Darius Rucker before we sold him as a herdsire. We are very pleased with her. She has great fleece characteristics with a long staple length. 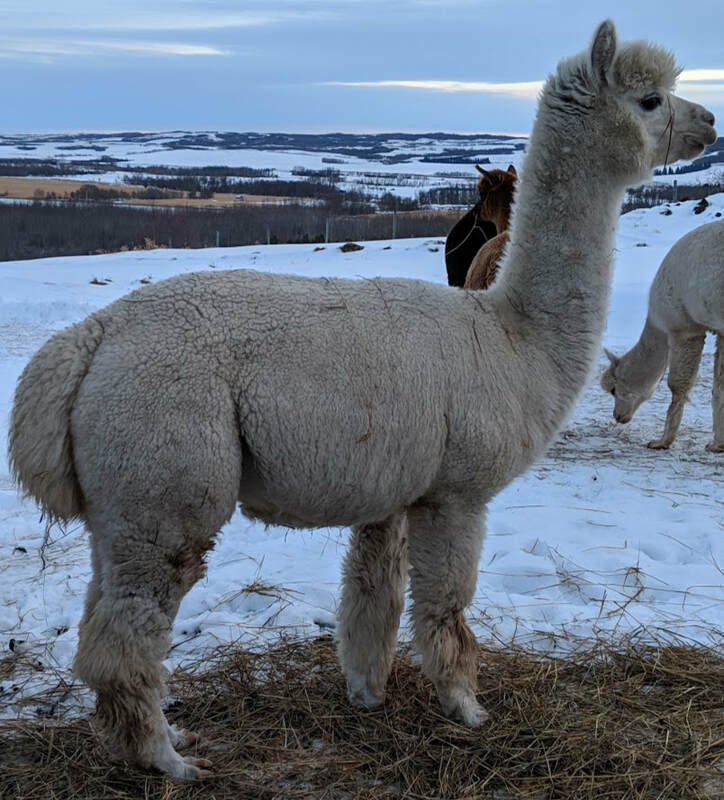 Buffy is bred to Arriba Antero for a spring 2019 cria. This should be an excellent match.